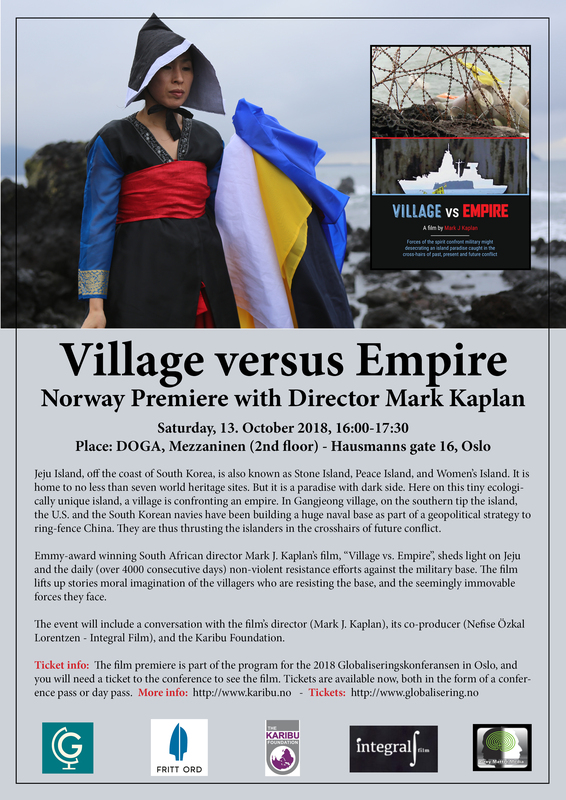 Karibu has the pleasure of inviting you to the Norwegian premiere of the documentary film, “Village vs. Empire”, by Emmy award winning director Mark Kaplan (South Africa). Jeju Island, off the coast of South Korea, is also known as Stone Island, Peace Island, and Women’s Island. It is home to no less than seven world heritage sites. But it is a paradise with dark side. Here on this tiny ecologically unique island, a village is confronting an empire. In Gangjeong village, on the southern tip the island, the U.S. and the South Korean navies have been building a huge naval base as part of a geopolitical strategy to ring-fence China. They are thus thrusting the islanders in the crosshairs of future conflict. 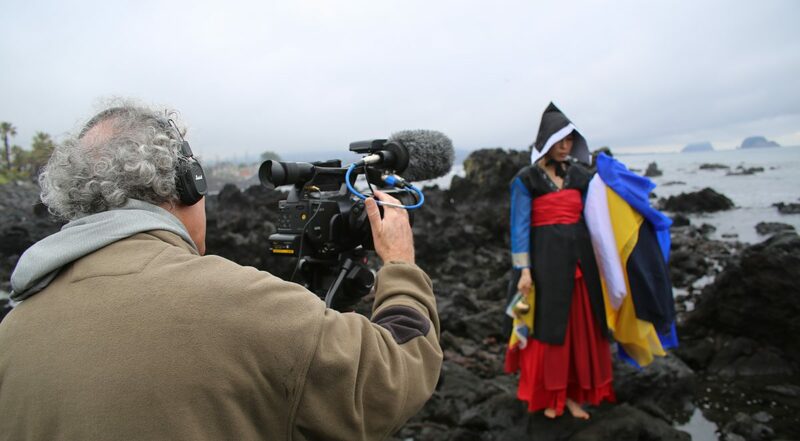 Emmy-award winning South African director Mark J. Kaplan’s film, “Village vs. Empire”, sheds light on Jeju and the daily (over 4000 consecutive days) non-violent resistance efforts against the military base. The film lifts up stories moral imagination of the villagers who are resisting the base, and the seemingly immovable forces they face. The event will include a conversation with the film’s director (Mark J. Kaplan), its co-producer (Nefise Özkal Lorentzen – Integral Film), and the Karibu Foundation. Ticket info: The film premiere is part of the program for the 2018 Globaliseringskonferansen in Oslo, and you will need a ticket to the conference to see the film. Tickets are available now, both in the form of a conference pass or day pass.